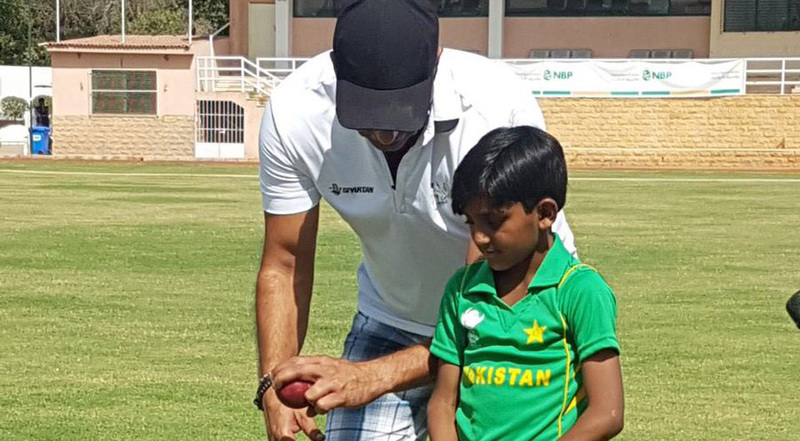 Some days back, a video on social media went viral where a 6-year old left-arm fast bowler Hasan Akhtar bowled in-swing deliveries with unbelievable perfection, which also impressed the Sultan of Swing Wasim Akram. When the media approached him, he expressed his wish of being coached by the fast bowling great Wasim Akram himself. Just around a month later, young Hasan Akhtar lived his dream as the former Pakistan captain Wasim Akram enlightened the future sensation with pace bowling secrets. Akram, who bowled two magical deliveries in the final of World Cup 1992 that steered Pakistan to the trophy, was impressed with the knowledge of the kid and his interest in the fast bowling. Wasim Akram believes that he has got a bright future ahead. Hasan Akhtar bowls hours in his backyard in Chichawatni to hone his skills so that he can do for Pakistan what his idol Wasim Akram has done in his playing days.